The thrill of wrapping up! As HOLO 2 nears completion, a world of detail falls into place. Excited yet? Here are ten (more) reasons why we are. 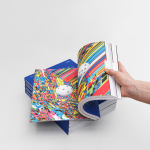 The restless (color coded) loop of featured artist Jürg Lehni’s Flood Fill – Clock (2009) shown above couldn’t capture the current, final, stage of magazine production any better. It’s hectic! Since we first announced our ‘return to the (not so distant) future’ a couple of months ago, HOLO 2 kept expanding in scope and ambition as we pushed against our limits (and our schedule’s) every day. Over the course of the last eight weeks alone we’ve added seven new names to the issue’s already long masthead. Now forty-four international contributors strong, HOLO 2 is set to raise our bar. Some of these new names might ring a bell: writer Jim Rossignol is known as the co-founder of the irreverent gaming blog Rock, Paper, Shotgun, Changeist founder and conference circuit mainstay Scott Smith is a voice of authority on all things foresight, and HOLO 1 contributor Cedric Flazinski of the ‘anticipatory’ studio N O R M A L S returns with more sardonic illustrations. 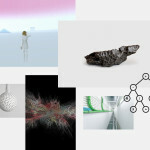 Seeing these latest contributions emerge from collaborations across continents and disciplines is magical; so is catching glimpses of early ideas, prototypes and work-in-progress. In anticipation of our summer release (HOLO 2 will ship in late August), we’d like to count down ten of our favourite recent magazine-in-the-making moments. From different takes on the perplexing nature of randomness (read more about HOLO 2’s thematic inquiry here) to hundreds of layouts crystallizing on the page—we hope the following production snapshots will get you excited as well. 10 “I’d like to do a little experiment and see if a large group of people can collectively generate better quality random numbers than an algorithm.” In March HOLO 2’s guest designer Karsten Schmidt launched RND.FARM, a site to farm ‘a stream of human generated randomness’ via keyboard and gesture input of visitors. 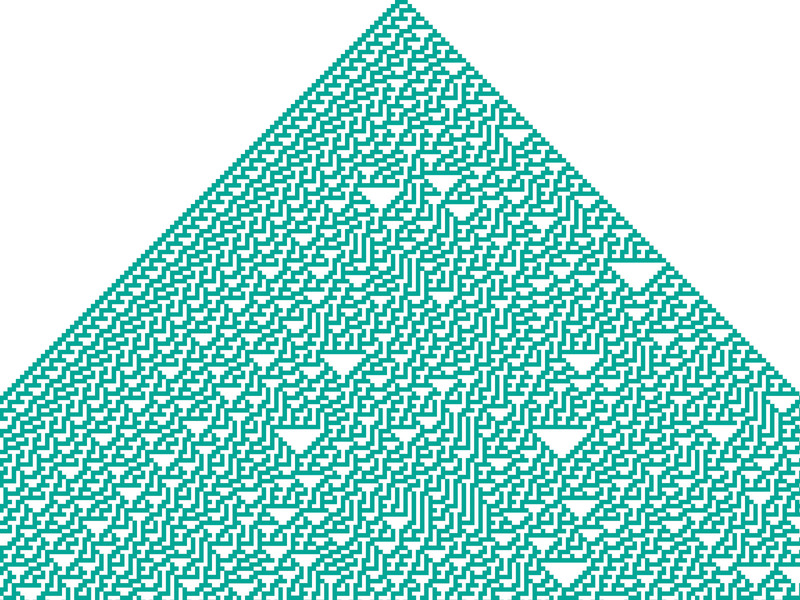 So far, more than 1.6 Million random digits have been collected and fed into Karsten’s custom genetic programming system that will ‘breed’ our cover. Read more about the latter in our previous post. When you have a genuine random sequence, people don’t believe it’s random—they think it’s rigged because the mind wants to impose patterns. Reas: So we ‘find’ order where there is none? 9Uncertainty abounds in everyday life and right down to the subatomic level, but its pervasiveness means different things in different disciplines. What better way to frame the scale and scope of randomness than a friendly conversation between artist and scientist? 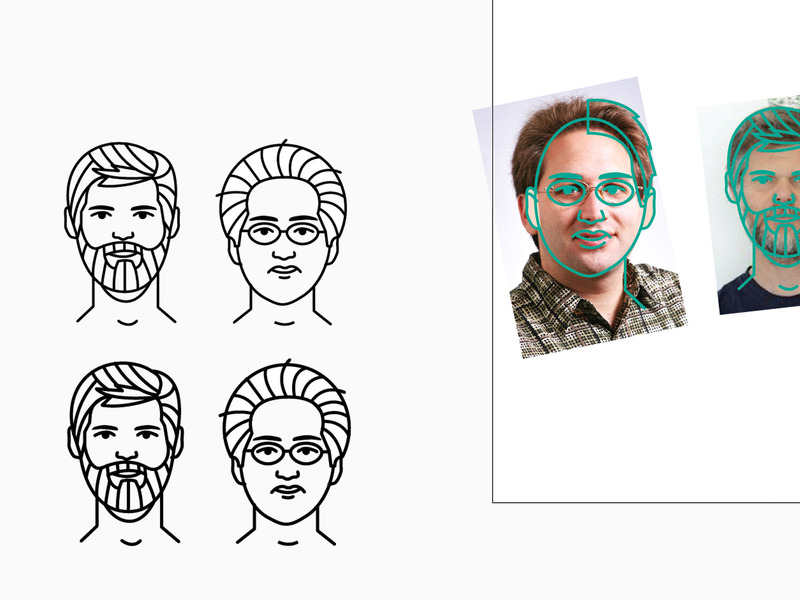 We’ve brought together software artist Casey Reas (beard) and theoretical computer scientist Scott Aaronson (no beard)—the accompanying image shows their vector portraits being penned by illustrator Peter Stemmler. In their conversation the duo discuss what randomness means to each of them and how our perception of it has changed over the course of the 20th century and throughout history. 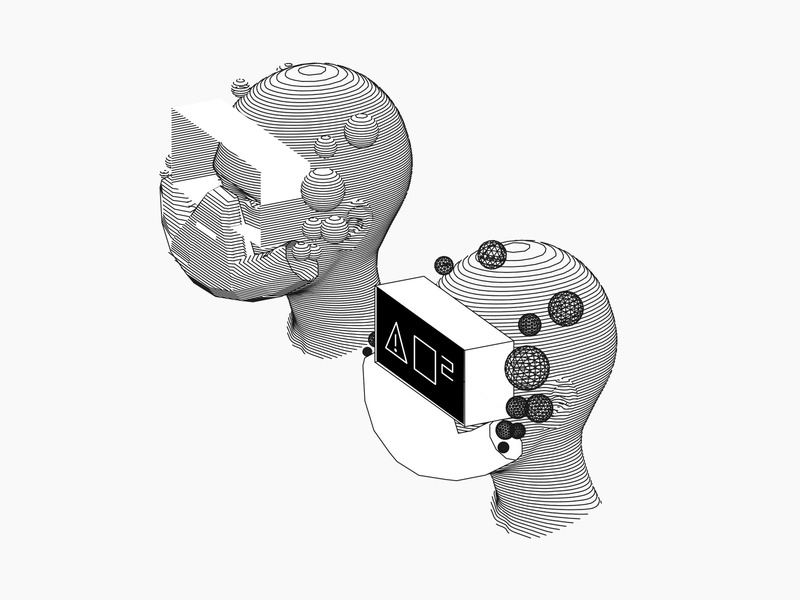 Covering aesthetics, cryptography, and quantum physics, their dialogue is fascinating. 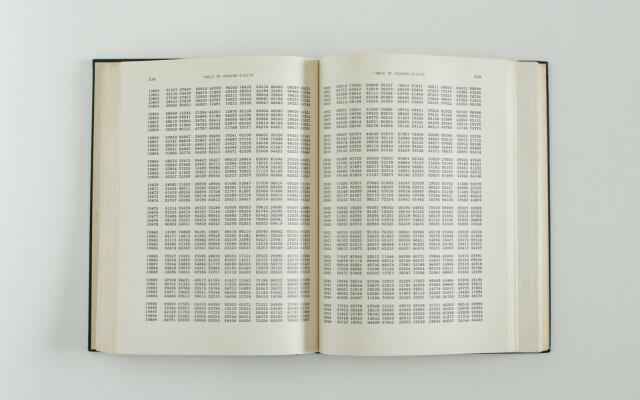 8 We sent photographer Ye Rin Mok to Casey Reas’ UCLA studio to shoot a rare copy of the 1955 book A Million Random Digits with 100,000 Normal Deviates. Why exactly? 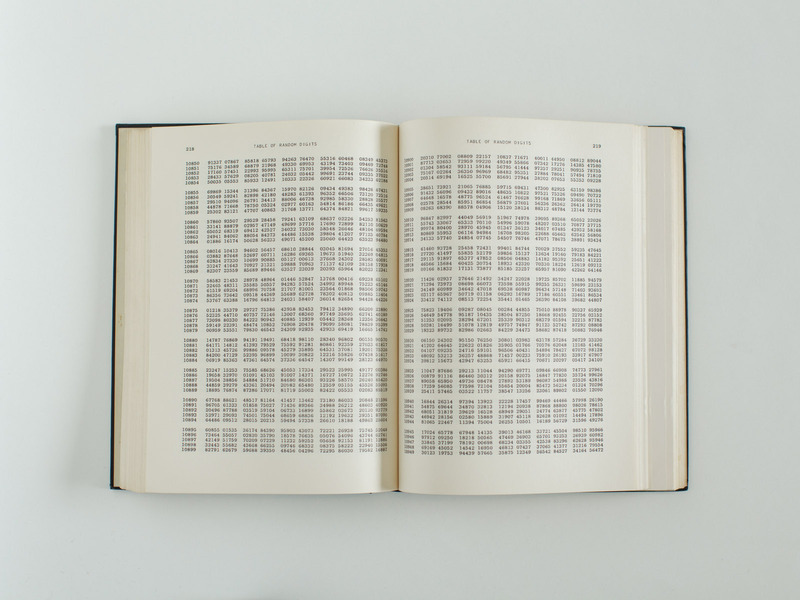 Spurned by cryptography and nuclear bomb testing in the Second World War, the book was a touchstone in the history of random number generation. 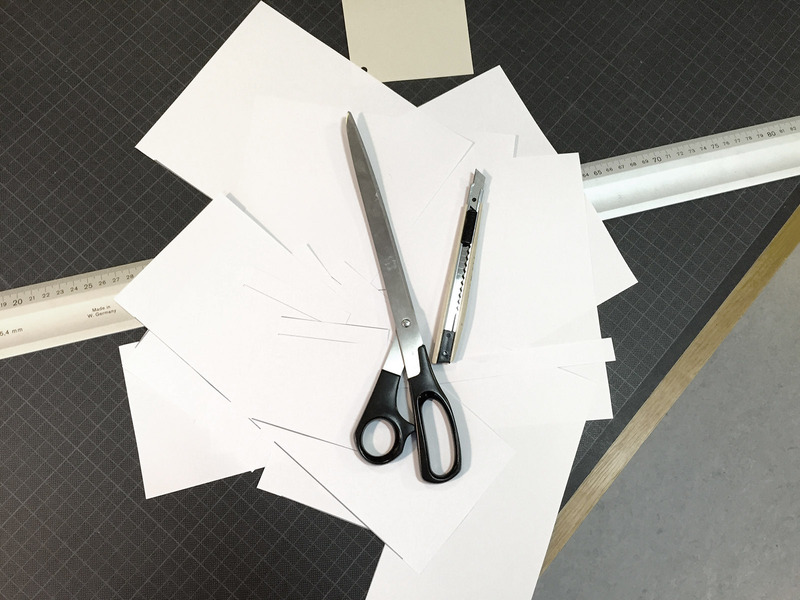 In his essay, audiovisual artist Paul Prudence delves into the book’s esotheric ‘making of’, surveys techniques for harvesting ‘true’ and pseudo-random numbers, and questions the limits of knowledge and precision. 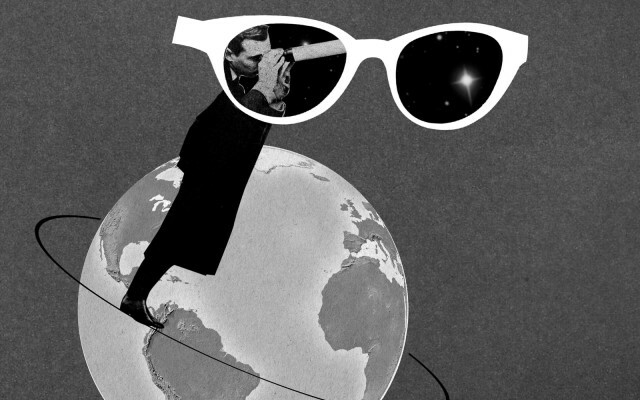 7 Google, Netflix, Uber—Silicon Valley giants are embracing ‘prediction science’ in a big way. There is a backstory to data analysis that predates Amazon guessing what you might want to buy next though, and it can be traced back to a semi-obscure Soviet economist’s grand theory about economic cycles. Speculative strategist Scott Smith cuts through ‘big data’ hype and carefully considers a century of predictive modelling. 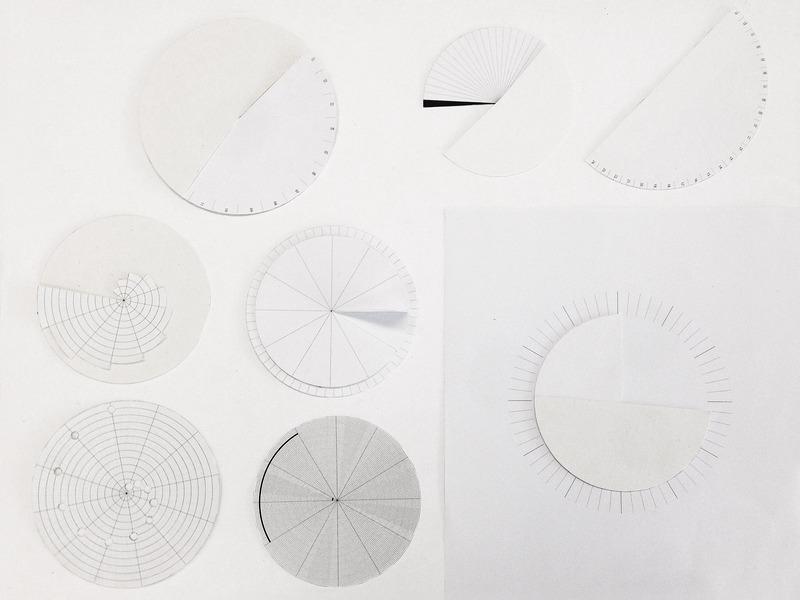 6 Casting dice, flipping coins, spinning a roulette wheel—inspired by the colourful history of analog random number generation, paper electronics expert Coralie Gourguechon and designer Jacopo Atzori have created a special ‘DIY Codewheel’ (see the early prototypes shown above) that puts our second issues’ fixation on randomness into practice. Use it to create secure passwords, pick your lucky lottery numbers, or engage in DIY divination—it’s a fun little artifact that comes with every copy of HOLO 2. 5 If a butterfly flaps its wings in Mexico then does it trigger a tornado in Texas? 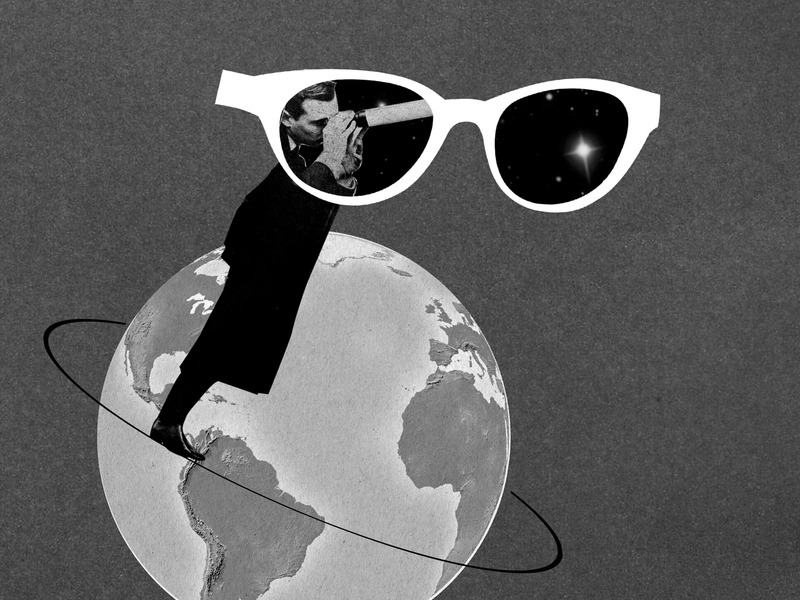 If life on Earth is highly improbable, then are we alone in the universe? Data aesthetics expert Mitchell Whitelaw and illustrator Eva Hillreiner examine five scientific conundrums related to randomness and emergence. Genetic mutation, ‘noisy’ brain activity, quantum fluctuations—it seems that a bias towards randomness abounds across nature. 4 Yogi Berra once quipped “It’s tough to make predictions, especially about the future.” Media art curator Michelle Kasprzak tells the tale of ten futurists who thought they could. Who better to illustrate their failed forecasts than Cedric Flazinski of the ‘anticipatory’ design studio N O R M A L S? The drawing we’ve shared above is his first take on an underwater utopia, as predicted by Alvin and Heidi Troffler in 1970. 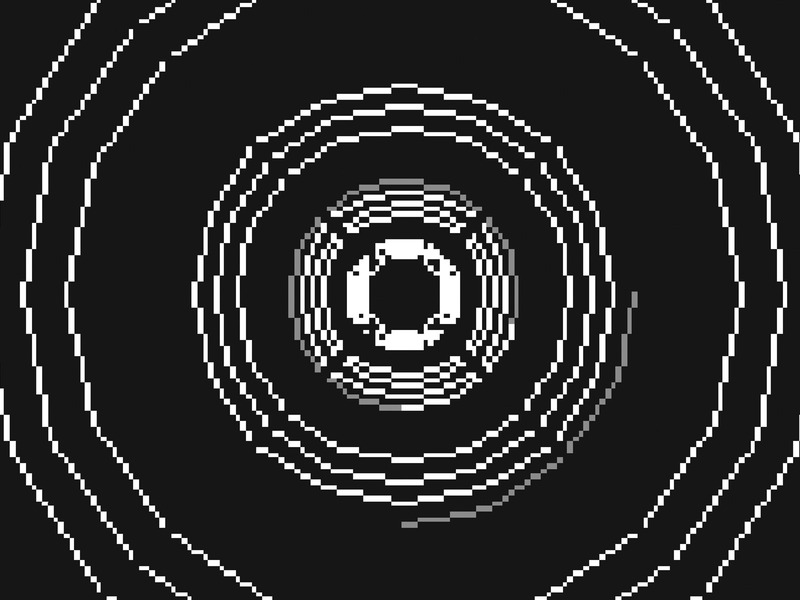 3 They don’t build ’em like this anymore—this pixel tunnel (left) is a screen capture from the 1984 space trading game Elite. From its massive universes too large to ever be fully explored to the malleable blocky landscapes of Minecraft that stretch out into infinity, random numbers are central to procedural world building in video games. Writer and game designer Jim Rossignol played his way through a selection of key titles and muses on the experiences and emotional states randomness engenders. 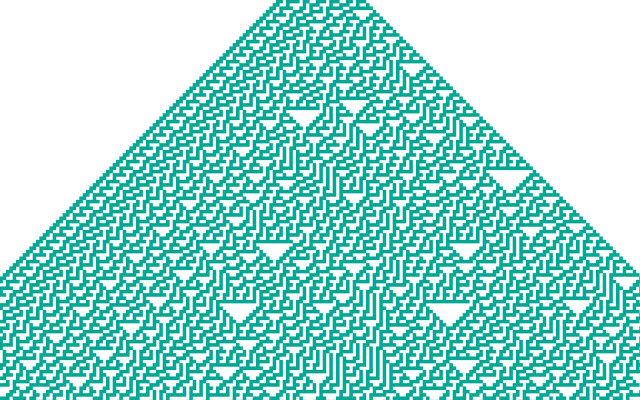 2 There is much more going on in this cascading stack of triangles (left) than meets the eye—the cellular automaton system that derived it is one of the most well known methods for algorithmically generating random form. 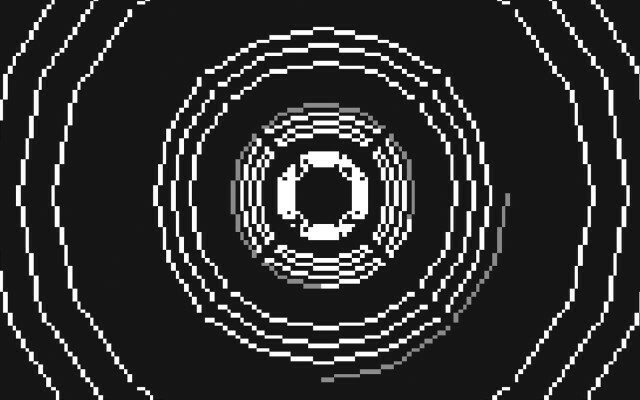 Renowned educator and Processing contributor Daniel Shiffman provides simple visual examples, commentary, and code snippets documenting the most prominent techniques. 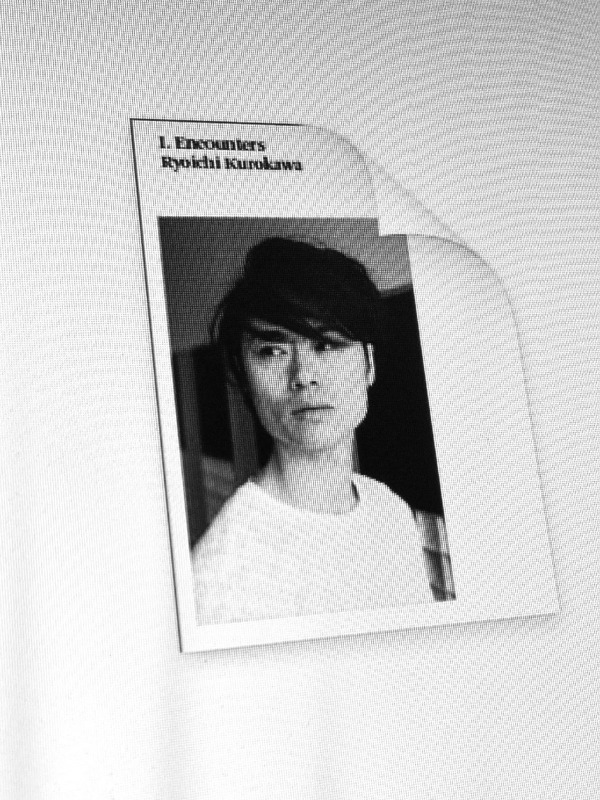 1 Seven artist encounters (above: Dorothy Feaver meeting Ryoichi Kurokawa in Berlin), one thematic inquiry, features on places and tools: Jan Spading and Oliver Griep’s Hamburg-based editorial design studio zmyk is where it all comes together on the page. 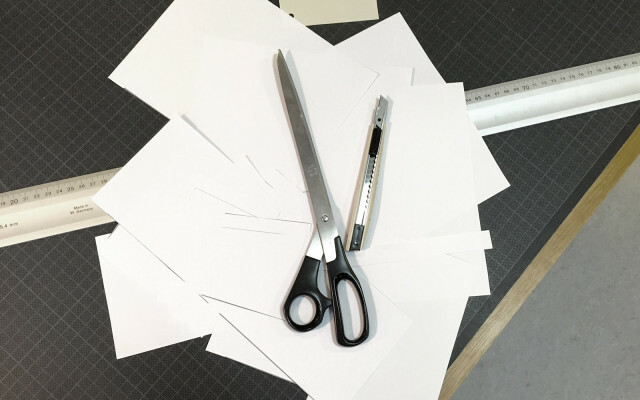 226 of them—the magazine in its entirety—currently occupy one of their office walls, and for every layout touch-up a new one goes up to ensure overall consistency and flow. Truth be told, there will likely be a few more of these swaps before HOLO 2 can go to press. But from what we’ve seen first hand in last week’s work and review session on site, every tweak will be worth the wait. 0 Our ‘lift off’ moment is not far off; thousands of magazine copies are scheduled to be sent into the world in August. In the meantime: thank you for your patience and ongoing support! Reminder: if your shipping address has changed or will change this summer, please send your new info (including a phone number) to orders@holo-magazine.com. 226 pages of premium print, 44 contributors from all around the world, 1 summer shipment you don’t wanna miss. Back to our roots: Given they’ve been a launchpad for 24,000 journalism and periodical projects, we were flattered by the invitation to exhibit HOLO in Kickstarter’s gallery space in February. Part of a monthlong celebration of DIY publishing, our inaugural issue was displayed alongside other fine periodicals including Makeshfit and Gypsé Eyes. Jury duty: In April our Editorial Director Filip Visnjic was asked to join the Prix Ars Electronica 2015 jury in the Hybrid Art category. He and fellow jurors Jens Hauser, Jurij V. Krpan, Susanne Jaschko, and Victoria Vesna convened in Linz to consider hundreds of “projects in the interstices”. In the end, the Golden Nica was awarded to Mexico’s Gilberto Esparza for his installation Plantas Autofotosintéticas—congratulations! Festival travelogue: From talking about the nuts and bolts of HOLO and CAN at Internet Age Media Weekend (Barcelona) and ELEKTRA’s IMDA (Montréal), to ‘famous new media artist’ Jeremy Bailey crashing our appearance in the NODE15 (Frankfurt) keynote, to enlightened panel discussions at Gray Area Festival (San Francisco), Sónar+D (Barcelona), and FIBER Festival (Amsterdam), to in-depth conversations with Robin Fox and Hiroaki Umeda at MUTEK (Montréal)—the past five months were filled with truly inspiring events! Thanks to all these great organizations for inviting and hosting us. 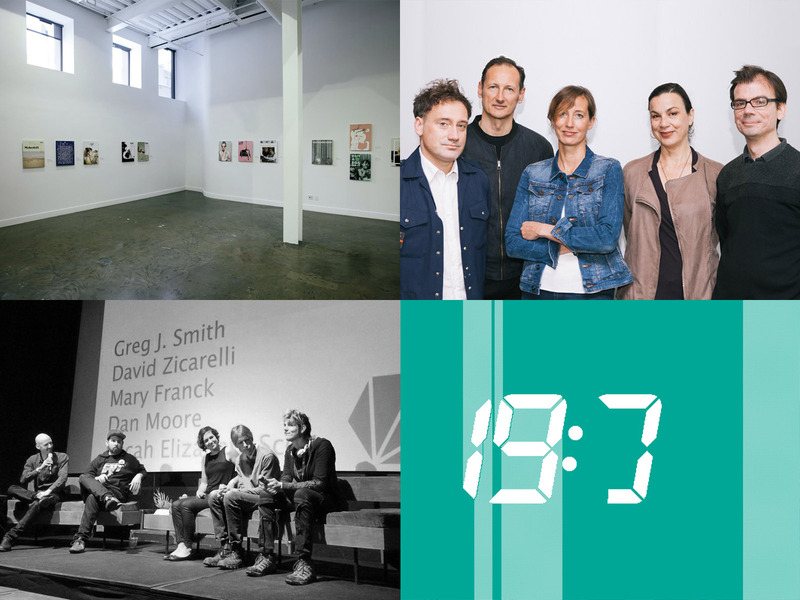 Overtime: Jürg Lehni’s Flood Fill – Clock (2009), our opening piece that draws on the slowed down, organic movements of a colouring algorithm (of the same name), is only one of many projects discussed in the extensive HOLO 2 feature on the Swiss artist, designer, and researcher. But a promising incarnation is underway: Lehni’s Clock will come to FRAMED* (2.0), the networked screen-based hardware platform developed by Yugo Nakamura and William Lai. Hi, when does this ship?